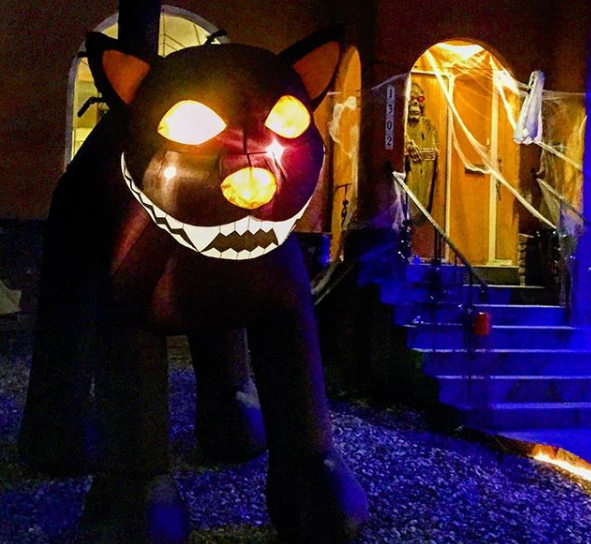 Coronado Yard Haunts is a collection of neighborhood homes catering to trick-or-treaters of all ages. Usually, there are 10-12 home haunts, some with decorations and atmosphere while others feature more elaborate special effects. Some houses change themes from year to year. Candy is served with a smile - this is a family-friendly event, safe for children of all ages, and not the least bit scary. Coronado Street is a short walk from Sunset Boulevard. Traffic can be thick, and parking is difficult, so consider taking Lyft or parking on Sunset. Pedestrians are plentiful, so keep your eyes open for children in costumes if you decide to do a drive-by.